CHICAGO – Majesco’s “Wonder World Amusement Park” for the Nintendo DS is a pleasurable diversion but could just as easily be deemed by some buyers to be a wasted opportunity to be something more. Ultimately, for a low purchase price and a game targeted at kids, it’s hard to complain too much about a title that will likely satisfy its target audience. CHICAGO – As icicles hang at skate parks and snow-covered ground makes it hard to roll, EA’s excellent “Skate 2” will probably be your favorite diversion throughout the winter. 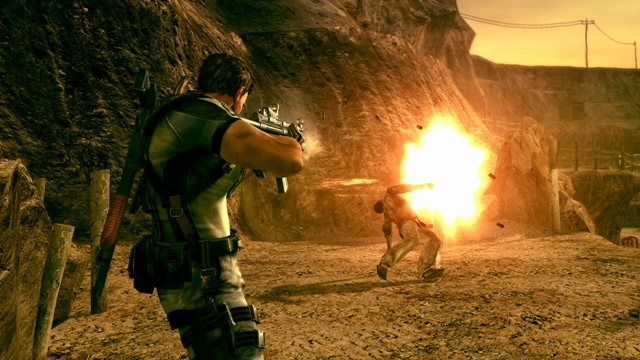 CHICAGO – This 31-image slideshow contains our favorite screenshots from the highly anticipated Capcom release, “Resident Evil 5”. The game will be released on Mar. 13, 2009. CHICAGO – Ubisoft’s “Prince of Persia” does more than just take the opportunity to update a last-generation classic franchise on the next-generation format, just in time for the movie starring Jake Gyllenhaal, Gemma Arterton, Ben Kingsley, and Alfred Molina to start building buzz for its Memorial Day 2010 release. “Prince of Persia” is that rare game that’s good enough that fans will still be playing it when the Gyllenhaal movie version hits theaters in seventeen months.